Hideo Kojima has always acknowledged that John Carpenter’s 1981 classic ‘Escape from New York’ had a huge effect on the Metal Gear Solid series. In a 2002 article Kojima penned for Official Playstation 2 magazine, the game designer said it was "the movie that influenced me the most in the birth of MGS hero Solid Snake." 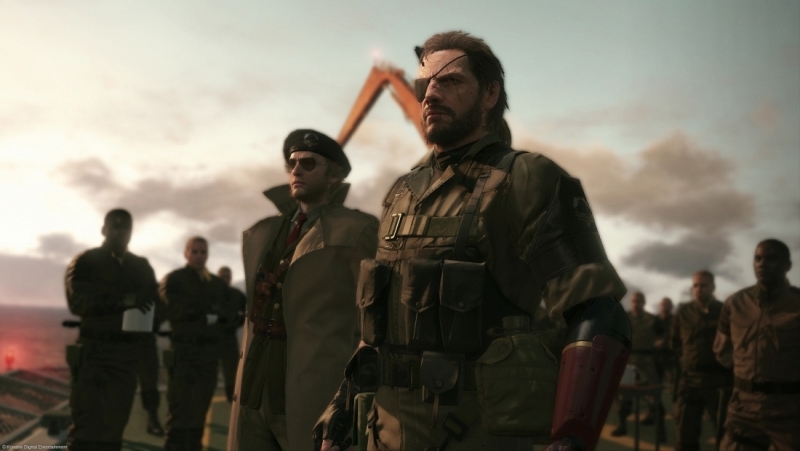 But it seems movie studios don’t always see a distinction between ‘influence’ and ‘plagiarism,’ as it turns out the company that owns the rights to Escape from New York, Canal Plus Group, wanted to sue Kojima over Metal Gear Solid. It can’t be denied that there are some similarities between Kojima’s much-loved stealth series and Carpenter's movie. The main character in the games shares the same name, eyepatch, mullet, five o’clock shadow and gruff voice. There’s an even more direct reference to the movie in Metal Gear Solid 2, wherein Snake uses the alias ‘Iroquois Plissken’ for most of the game (Snake Plissken being the name of Kurt Russell’s character in Escape from New York, for the few people who don't know/forgot). This all led to Canal Plus wanting to sue Kojima for supposedly ripping-off Escape from New York. Carpenter had already sued Luc Besson over the French director's movie Lockout. It follows the story of a convict sent into a prison by the government to rescue the president’s daughter. "It's the same story," Carpenter said. "I mean, you can't do that, can you? You have to change a couple things. He's after the president's daughter? Come on. So I took him to French court." Besson was found guilty earlier this month and his party was forced to pay Canal Plus about $88,000 of the $3.3 million it sued for. Carpenter received just $22,000 from that amount. Kojima avoided a similar court case after Carpenter instructed Canal Plus not to sue because of his fondness for the game director, according to the Hollywood Reporter. Even if Canal Plus had gone to court over the Metal Gear franchise, it’s highly doubtful that they would have won the case. Aside from the homage the games pay to the movie’s protagonist, there are few other resemblances between the two. There are certainly no parallels between the stories, and Kojima once stated that his Solid Snake got his name from the animal, because a "snake was the most appropriate symbol of a living thing that hides his presence and sneaks without any noise." "It's the same story," Carpenter said. "I mean, you can't do that, can you? You have to change a couple things. He's after the president's daughter? Come on. So I took him to French court." ...and that right there is what's wrong with the courts. So basically anyone making a movie about a president's daughter is going to be sued. Not if they do it the way Avatar ripped Pocahontas. You gotta "change a few things".